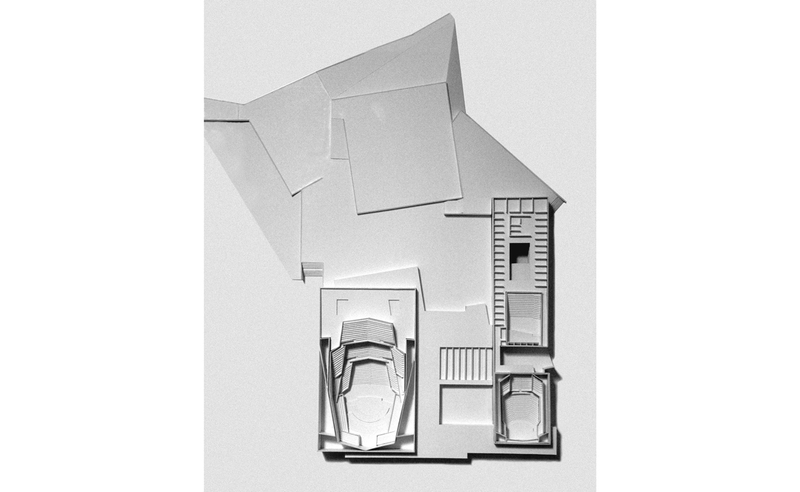 The project defines the limit of Villa Glori with an urban character as it links the slope with the platforms where the Auditorium is placed. 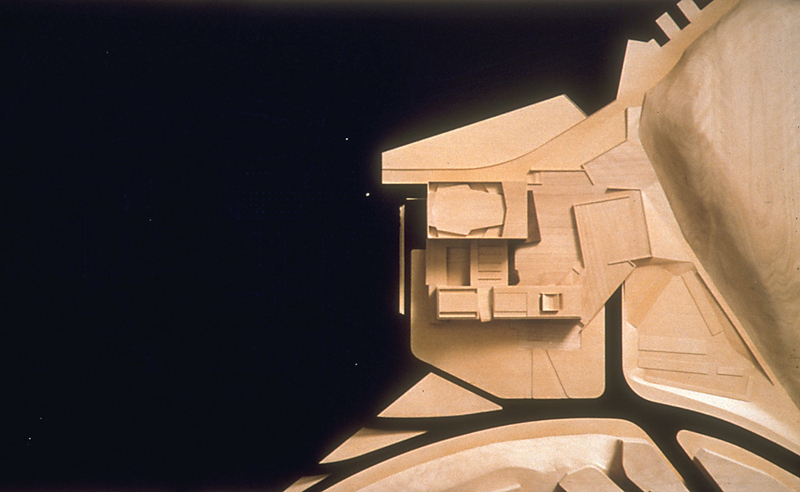 In this way the building becomes part of the park where the entrance is placed overlooking the Olympic Village and the Parioli district and it is split into two volumes linked by the entrance from an elevated plaza. 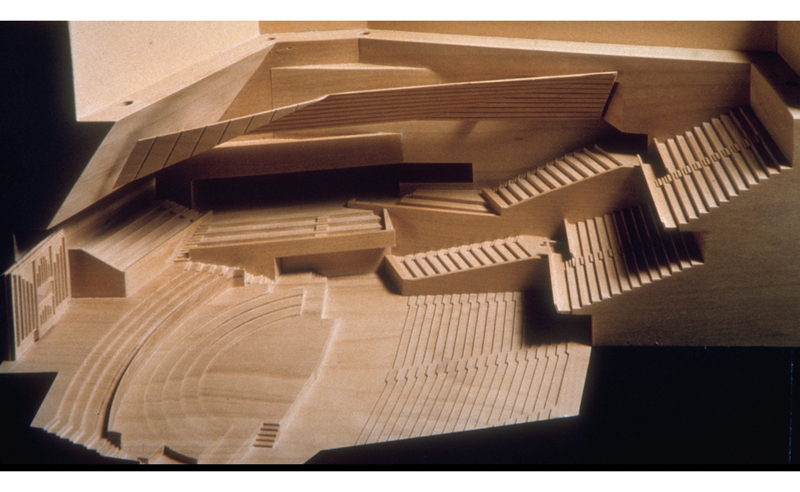 The larger volume hosts the Symphony Hall, built with travertine and concrete, with open voids that permit the vision of the wooden music hall as a polyhedron inside a case. Natural light is provided from these voids to the lobby that wraps up the concert hall designed for 2.800 seats and shaped in terraces that surround the stage. 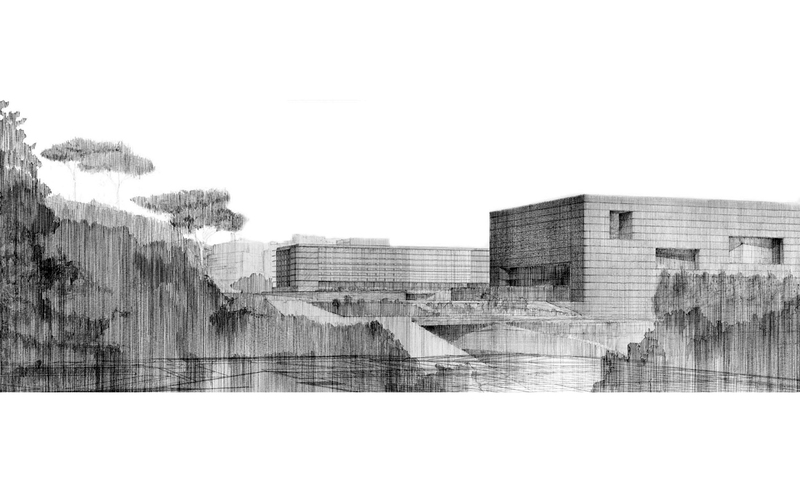 The other volume with the Museum, Chamber Music Halls and Library, overlooks Parioli with a light and glazed image in contrast with the abstract and austere volume of the concert hall and the terraces that spread towards Villa Glori.